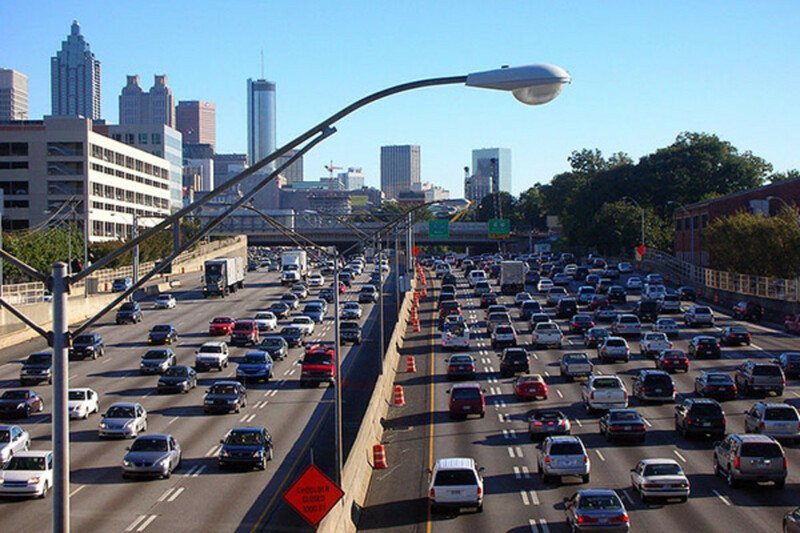 Would You Pay 3.5 Cents a Mile for a New Interstate System? Our vaunted highway system is toast, and will cost a trillion dollars or so to repair. Could user fees pay the freight? 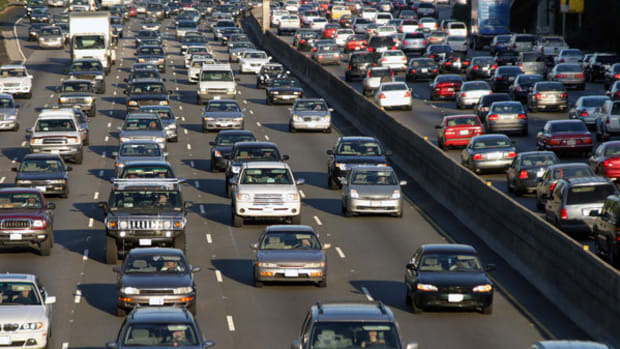 This Wednesday the Transportation Planning Board for the Washington, D.C., area will consider a variety of ways to tamp down highway congestion. Perhaps the most controversial suggestion is to charge a toll on existing lanes—you know, the ones our tax dollars already paid for. But in a new report for the Libertarian-oriented Reason Foundation, their director of transportation policy suggests doing just that to save our battered interstate highway system. Given the large and vital role played by the Interstate system, it is surprising that its long-term existence is taken for granted. Politicians and reporters have endlessly repeated that the system was “finished” about 20 years ago, and the idea that highways and bridges eventually wear out and need to be replaced (even if well-maintained) seems to be understood only by highway engineers. In short, we haven’t already paid for these roads. We used those highways up. We’d have lost the Appian Way, too, if it had to handle overweight 18-wheelers. We need new highways now, what Poole dubs Interstate 2.0. Where will we get the almost trillion dollars he estimates ($589 billion for reconstruction and $394 billion for vital new lanes) will be needed just to stay in place? And his trillion dollars is actually on the low side; infrastructure consultants Ed Regan and Steven Brown put the bill as high as $2.5 trillion two years ago. His answer, not surprising given the Reason Foundation’s bent, is user fees, i.e. tolls. Talk about using tolls to pay for interstate work, either fixes or additions, has been around for a while, although usually as an addendum to the gas tax (groan) instead of a replacement—but only for additional asphalt. The conclusion stems neither from an ideological preference for ‘privatization’ nor from a libertarian impulse to seek a reduced federal presence in the nation’s transportation program. Rather, it is grounded in the reality that every last cent that can be raised through the gas tax will be needed to maintain and modernize our aging highway infrastructure. Resorting to tolls and private capital to help finance future highway capacity is the best way to ensure the future growth of the nation’s surface highway network without imposing an unacceptable tax burden on the American people. If you ask people in a public opinion poll if they want to pay tolls, they generally say no. They say the same thing if you ask them if they want to pay any kind of new tax. It’s only when you give them a realistic situation and ask them to pick the best (or least bad) option that you learn something useful. Regan and Brown didn’t push their hood as far out into the intersection as Poole; they suggested tolls were an interim step in rescuing our interstates. They called for relaxing federal prohibitions on interstate user fees in states that choose to embrace tolling, not as an all-or-nothing switch in revenue sources. The federal roadblock is also the biggest obstacle Poole sees in his toll proposal, and it’s something he says could be leveled as soon as next year’s highway bill. And while it might seem that the political blowback will be extreme, he argues that charging the tolls on the spiffy 2.0 interstates, instead of the crumbling old ones, will provide the extra value to get over that hump. And what would the tolls cost? The short answer is 3.5 cents a mile for cars and 14 cents a mile for trucks. The rates could be tailored for individual states or conditions, such as efforts to reduce traffic at rush hour. Only three states have permission, under a pilot program, to use toll finance to reconstruct a single Interstate highway each: Missouri, North Carolina and Virginia. None of them has reached political agreement on actually doing this, to date. But as the reality of the cost of Interstate reconstruction and modernization sinks in, and the low cost and convenience of all-electronic toll collection becomes better understood, elected officials may catch up with public sentiment that is already receptive to tolling as better than (or less bad than) increases in transportation taxes to pay for major new investments in highway infrastructure. Long commutes take a toll on everybody, but women pay more dearly than men.